Obtained his Diploma in Water Management, Hydrology and Hydraulic Engineering at the University of Agricultural Sciences in Vienna, Austria and his Doctor’s degree (Dr.rer.nat.tech.) in 1993 at the same Institute. 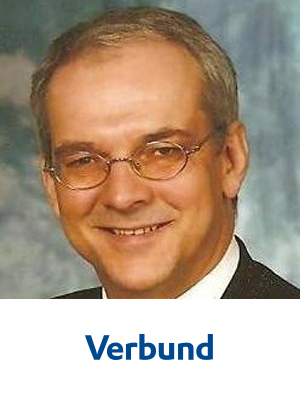 2001 – 2016 Verbund Austrian Hydropower AG – the largest Austrian hydropower company. Expert on hydrology, hydropower generation and development and renewable energy. Since 2009 Senior Advisor on strategic question on hydropower, water-management and environmental questions on hydropower. Senior Advisor in the public affairs team focusing hydropower topics.